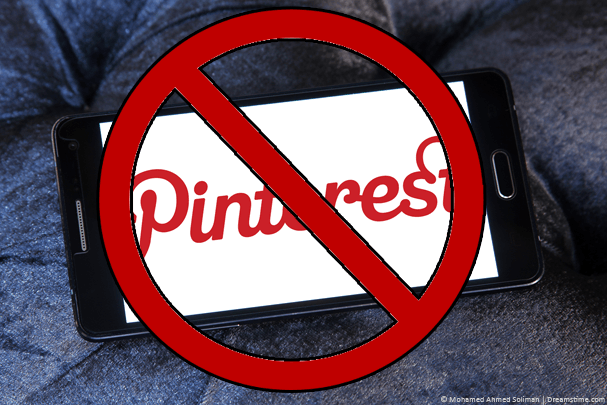 Pinterest, the website which took the world by storm 7 years ago by allowing users to pin their interests is now officially blocked in China. The social media website mainly popular with 30+ women around the world joins a growing list of western created websites that are inaccessible in China. Up until recently the site was one of few that was able to be accessed in the country while other big names such as Facebook, Instagram and a whole host more have been blocked for many years. It is not initially clear why the website has suddenly been blocked but suggestions include being due to the Two Sessions period or by wanting to crack down on western influence on Chinese society while others have suggested it is an effort to allow local Chinese Pinterest copycat sites to flourish. Whatever the reasons Chinese fans and expats living in China aren’t happy. Website GreatFire.org which monitors the Chinese internet firewall responsible for blocking websites shows that Pinterest has been inaccessible for the past 7 days which suggests the block is not a mistake and here to stay for the foreseeable future. The good news is that even though Pinterest is now officially blocked in China you can still access it. To access Pinterest in China you’re going to need to use a service called a VPN. A VPN is a system that disguises all of your internet usage using what is called encryption. Due to encryption it’s impossible for anyone else to know what you’re doing on the internet, such as what websites you visit, who you chat to or what you download. When you try to access the Pinterest website the Chinese Great Firewall blocks you. When using a VPN it’s impossible for the firewall to know what website you’re accessing so it can’t block you. A good place to start is our Best VPN for China guide where we looked at the most reliable services for use in the country. Sadly, not all VPN services are suitable for use in China because the authorities have attempted to crack down on their use and blocked some services. The following three are some of the most accessible in China. You can visit their websites by clicking on their names below. While all three services themselves work in China the website to sign up may not. You may need to try all three providers to find a website that is accessible for you to sign-up to in China. If you’re outside China but intend to travel there then it’s best to sign-up beforehand and then take the VPN service with you. Once you’ve signed up to one of the providers above you’ll need to download their software or app depending on what device you use. All three VPN services have software for Windows and Mac and also apps for mobile devices such as Android and iOS tablets and phones. You can find the software on the VPN provider’s website or download the VPN app from the relevant app store. Once downloaded and installed you should connect to a country outside of China. It’s best to connect to a nearby location such as Hong Kong, Singapore or somewhere else within the region as it will give you the best possible speeds. In the example below I use IPVanish on a Windows PC but the process is much the same with the other providers and across other devices too. Once you’re connected you’re free to access Pinterest in China without being blocked. In fact, you can now access any website that is blocked in China such as Facebook and Instagram or even use blocked apps like Whatsapp and more.